Hollywood Torrent: Will Spotify Be the Next Netflix or the Next Pandora? Good afternoon from Los Angeles, wherever you may be. The Hollywood Foreign Press Association will hand out the Golden Globe Awards tonight in Beverly Hills. Expect commentary about sexual harassment and Donald J. Trump, a successful night for ``Big Little Lies’’ and ``Three Billboards, Outside Ebbing Missouri’’ and lots of women wearing­ black on the red carpet. The biggest media news of the week arose from New York, where Spotify secretly filed to go public on the New York Stock Exchange using an unconventional method that could change the way large, consumer-facing companies sell shares to public investors. Most companies file for an initial public offering in which they hire banks as underwriters, go on a big roadshow to charm potential investors and raise a bunch of money. Spotify is forsaking that path because it doesn’t need to raise money — its sales topped $3 billion in 2016 — and because its founder, an uber confident entrepreneur by the name of Daniel Ek, loves to flout convention. The company will just list shares one day in the next couple months. Risk is inherent to this plan because the company won’t have as much control over where the shares begin trading, or as much insight into the thinking of investors. But, if Spotify succeeds, it could inspire Uber and AirBnb to go the same route. There are reasons to care for those of you who aren’t market wonks. For one, we can find out whether the music industry really is back. Record industry sales have increased for three years in a row thanks to the legions of consumers paying to listen on Spotify and Apple Music. But investors have few direct opportunities to tap this potential growth. All three major music companies are part of larger concerns or closely held, while music accounts for a small share of business for the industry’s biggest retailers, like Apple and Wal-Mart. Whether investors like what they see will help determine whether a music company can survive on its own. For all Spotify’s success, its long-term viability is still an open question. The company pays out such a large percentage of its sales to rights holders that it may never make much money. Spotify reported a loss of $601 million in 2016 despite a huge leap in revenue. Spotify could go the way of modern-day Netflix, where it keeps adding users so quickly that investors forgive minuscule profit and negative free cash flow. Investors have bid the company’s stock price up and up and up so long as the company keeps adding users (and says its profit margins are improving). But it’s important to remember that, unlike Netflix, Spotify’s costs are more fixed. It owes rights holders a certain percentage of sales no matter what. That’s one reason many analysts speculate Spotify will eventually sell to a larger conglomerate that wants to use a money-losing music service to buttress its other businesses (as Apple has used music to sell hardware and other software). Or it could go the way of a Snapchat, Twitter or Pandora, which refused to sell, struggled to make money and were punished when their user growth sputtered. You received this message because you are subscribed to the Bloomberg newsletter Hollywood Torrent. You can tell your friends to sign up here. There may be no safer job in America right now than that of the Hollywood screenwriter. The number of scripted TV shows released in the U.S. swelled to a new high in 2017 thanks to Silicon Valley’s growing ambitions in entertainment. Streaming services accounted for 117 of the 487 shows released and almost all of the growth from the year before, according to a study by FX Networks. Silicon Valley giants and Hollywood’s biggest studios are locked in a struggle for control of the entertainment industry, with newer online players steadily gaining ground. 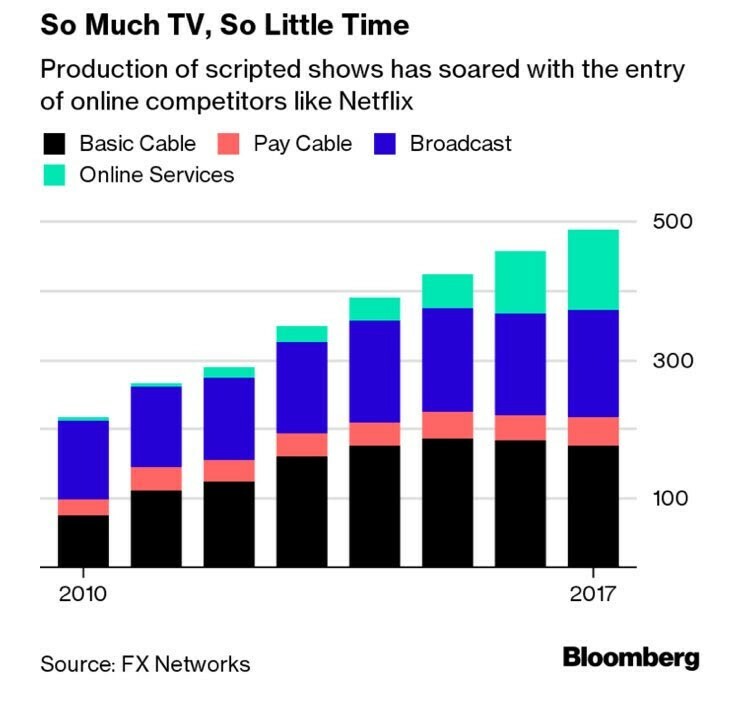 Technology companies are investing in shows to attract customers to video services delivered over the internet, while the established media are spending more to keep viewers from abandoning their networks. Netflix is the main driver here. The company produced just a couple original programs as recently as 2013, but will release more original entertainment programming than any network this year. The strategy is working. The streaming service now has more than 109 million subscribers and its market value is close to $90 billion. For now, peak TV keeps peaking. The music business has been griping about YouTube for a decade now, so I decided to profile Lyor Cohen, the guy YouTube hired to broker peace. Cohen, 58, came of age in the New York music scene of the 1980s as a road manager for Run DMC and helped guide hip-hop into the mainstream representing acts such as A Tribe Called Quest and Jay-Z. A brash, opinionated lover of Hunter S. Thompson, he’s not your typical diplomat. He’s already had some success. YouTube has signed on all three major music companies for a new music service, which will debut later this year. Convincing even 10 percent of YouTube users to pay for a music service would turn YouTube into a savior (rather than a pariah). YouTube is having less success controlling the juvenile creators who upload videos. 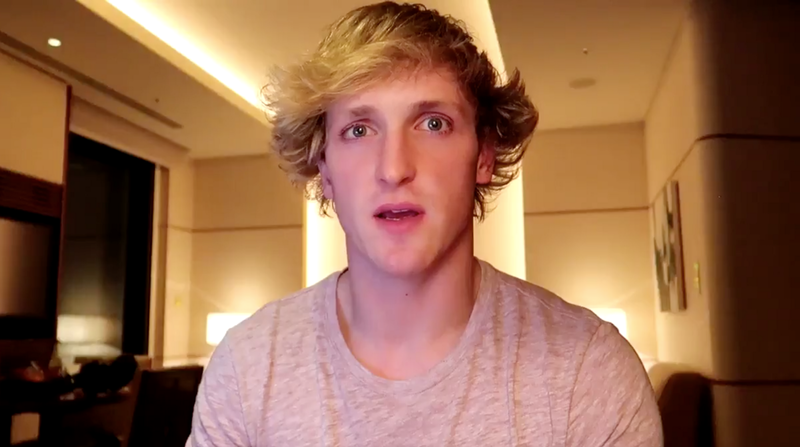 Logan Paul posted a video of a dead body hanging from a tree in a forest that is a popular locale for suicide. Paul, who has more than 15 million subscribers on YouTube, was quickly reprimanded by fans and fellow creators. He apologized, and his apology video miraculously landed on YouTube’s trending videos page. YouTube spent much of last year trying to appease advertisers upset about the unseemly videos it hosts (and the ads that ran alongside them). This problem isn’t going away. Expect it to get worse this year. “Jumanji: Welcome To The Jungle” toppled “Star Wars: The Last Jedi” at the U.S. box office this weekend after nipping at its heels a week ago. The movie, which stars The Rock and Kevin Hart, has grossed more than $500 million worldwide and should be profitable for Sony. It’s even faring better overseas than ``The Last Jedi,’’ which stumbled in China this weekend. ``The Last Jedi’’ finished in second behind local film ``The Ex-File: The Returns of The Exes.’’ Cue a debate over whether ``The Last Jedi,’’ which has grossed more than $1.2 billion worldwide, is a disappointment. Taylor Swift’s ``Reputation’’ reclaimed the number one spot on the Billboard chart, followed by Ed Sheeran. Those two also had the two best-selling albums of 2017. Sheeran’s collaboration with Beyonce is the most popular song in the U.S..
Viewership of the NFL fell 9.7 percent this season, an even faster rate than a year ago. TV networks blamed the election for the poor ratings last year. This year, they’ve looked elsewhere for blame, from a rash of injuries to the anthem protest. The NFL is still the most popular TV event on the schedule, accounting for most of the year’s 50 most-watched programs. Yet the trend is troubling for media companies that spend billions of dollars on these rights. Advertising sales suffer when ratings fall, so we could see the effect of the weak year in upcoming earnings announcements. Justin Timberlake released the lead single from his first album in five years. He plays a technologist in the music video. Bruno Mars roped Cardi B into a remix of his song ``Finesse.’’ The music video looks and sounds like a rap video from the late 1980s, and the chorus sounds a little bit like Michael Jackson’s ``Remember the Time.’’ Cardi B is already a part of three songs in the top 10 in the U.S., and I wouldn’t be shocked to see this join the party. Kendrick Lamar and SZA recorded a song together, uniting the best rapper alive and the frontrunner for best new artist at the Grammys. Ava DuVernay directed the music video for Jay-Z’s ``Family Feud’’ featuring Brie Larson, Mindy Kaling and Michael B. Jordan. 1. 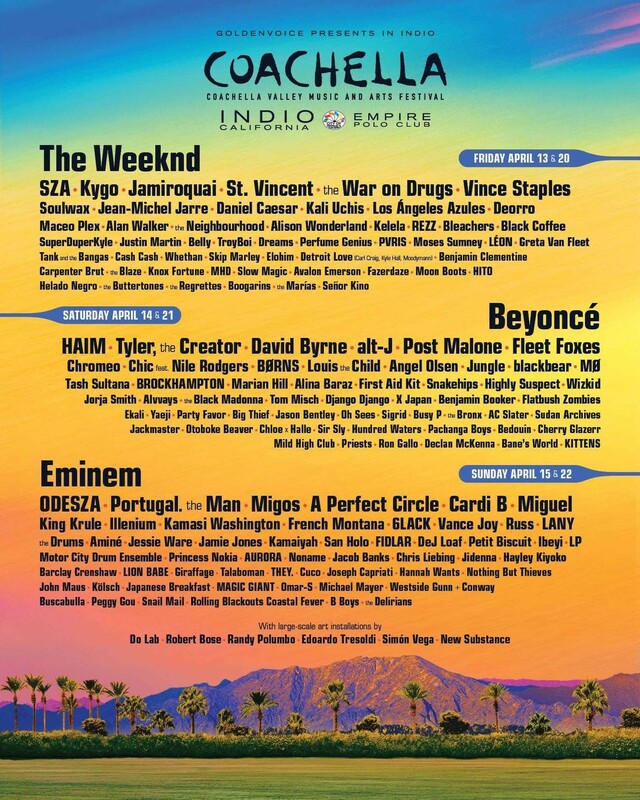 Beyonce, Eminem and The Weeknd will headline the Coachella Arts and Music Festival, the biggest music event in the U.S.. Beyonce had been slated to perform last year, but could not due to her pregnancy. Eminem is the frontrunner for ubiquitous festival act in 2018. He’s also slated to perform at Governor’s Ball, and some festival in Boston I’ve never heard of. 2. Game of Thrones will return for its final six episodes in 2019. 3. Jimmy Iovine will leave Apple this summer after collecting his final payout from selling Beats. Iovine’s expertise and industry contacts were primary motivations for Apple’s 2014 purchase of Beats, the biggest acquisition in company history. Iovine worked with Bruce Springsteen, John Lennon, U2, Eminem and Tupac during his career in the record business. Iovine thrived by trusting his gut, often against the wishes of his superiors. Iovine joined Apple to help the owner of iTunes better compete with YouTube and Spotify, but has been an odd fit since he got there. 4. Facebook CEO Mark Zuckerberg announced his personal goal or 2018:fixing Facebook.Zuckerberg has previously used this moment to announce plans to run, or start a book club, but the 33-year-old has vowed to take a comprehensive look at Facebook’s role in society, writes Max Chafkin. 5. ``American Horror Story’’ creator Ryan Murphy addressed our report from last week that the Disney deal has opened the door for Netflix and Amazon to steal him away from Fox. Disney CEO Bob Iger has called him to put in a good word. 6. Amazon is preparing to bid for the rights to the English Premiere League, the most popular soccer league in the world. 7. Netflix signed director Matt Reeves to a first-look deal, snaring a top filmmaker for its fledgling movie studio. 8. Oh, and Michael Wolff wrote a book about Donald Trump that got a little attention.